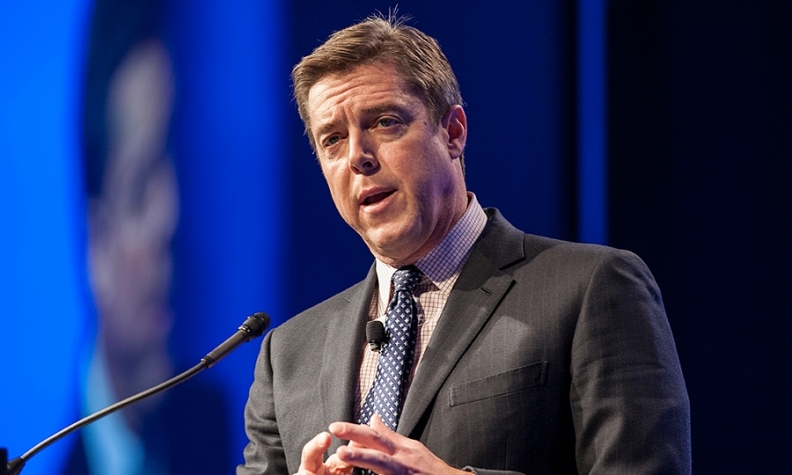 Painter: TrueCar is “going to focus on revenue growth” in the final three quarters of 2015. TrueCar Inc., the car-shopping service, reported continued revenue growth and another loss in the first quarter, and said it launched its TrueCash incentive program, which allows automakers to target discounts to specific consumers based on where they live, what they drive and what they’re shopping for. The Santa Monica, Calif., company added that it will step up spending on advertising and other efforts to attract customers through the rest of the year, and forecast a big rise this year in the number of auto sales it facilitates. “We’re building a brand,” founder and CEO Scott Painter said in a conference all. Although TrueCar must watch costs to help its bottom line, the company is “going to focus on revenue growth” in the final three quarters of 2015, he said. TrueCar generates revenue from fees paid by dealers for vehicles sold through its network -- $299 for new-car sales and $399 on used-car transactions. It sold stock to the public in May 2014. In the first quarter, TrueCar’s revenue increased 33 percent from a year earlier to $58.6 million, and the number of new and used vehicle sales transactions that it was involved in climbed 34 percent to 168,559. That figure includes vehicles purchased through TrueCar’s own website and the sites it runs for its affinity partners. "We had a strong start to 2015 and are encouraged by the momentum we are carrying into the seasonally strongest part of our fiscal year," said Painter. But TrueCar also spent heavily to build up its technology, staff and dealer connections, and its net loss under generally accepted accounting principles widened to $11.6 million, from $9.9 million a year earlier. Under accounting that strips out certain expenses, such as the cost of stock compensation given to key employees, TrueCar said it had adjusted earnings of $4.3 million. That is up from $1 million a year ago, but level with its total from the fourth quarter. The company also said it saw a big jump in visits to its website and mobile-device platforms. The number of franchise new-car dealers signed up to use TrueCar rose to 9,108, compared with 8,501 in the first quarter of 2014. TrueCar’s tally counts the number of brands of new cars sold by dealers in the TrueCar network at each of their locations. The company forecast that revenue would climb to $67 million to $69 million, in the second quarter, and total $280 million to $290 million for the full year. It also predicted that the number of TrueCar sales transactions will increase in 2015 to 825,000, from 611,000 in 2014. The TrueCash incentive program is the company’s latest bid to expand its role in the auto sales process. It is designed to give automakers a chance to tailor incentives to specific consumers, and is being used by 13 automotive brands. For example, many shoppers looking for a Fiat 500 on TrueCar will find a TrueCash discount of $1,500 on top of $2,250 in generally available discounts. That amount can vary depending on the shopper’s age, location or other demographic factors, as well as what types of vehicles the shopper already owns or is shopping for. “Dealers should be able to close more sales without going into their own gross margin,” TrueCar President John Krafcik said in an interview. At the same time, TrueCar has also opened up its website to allow manufacturers to display a greater range of high-resolution photos, videos, graphics and other materials to give shoppers a richer sense of what their vehicles offer. The “Model Showcase,” as TrueCar is calling it, is offered free of charge. “It’s a platform for the manufacturers to display all their best marketing content,” Krafcik said.